Dr. Ambe Emmanuel Cheo holds a Ph.D. in Environmental and Resource Management (ERM), from the Brandenburg University of Technology (BTU) Cottbus-Senftenberg, Germany. His Ph.D thesis on Integrated Water Resources Management (IWRM): case study of the Far-North region, Cameroon was published as monographs by the Verlag Dr. Kovač. Thereby, he specialized in estimating water balance as defined by the EU-water framework directive and completed fieldwork focused on identifying and evaluating water resources management challenges and making policy recommendations. Dr. Cheo has a broad interest in water management and hydrogeology. For his earlier studies, Dr. Cheo focused on popularizing the implications of climate change on water resources to policymakers, stakeholders and vulnerable farmers; with the aim of influencing the decisions they make. During his master’s thesis at the Department of Environmental Geology, BTU Cottbus-Senftenberg, Germany, Dr. Cheo researched on climate change and the vulnerability of water resource in Northern Cameroon. 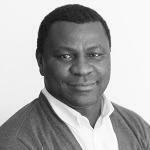 Currently, Dr. Cheo is working as Associate Academic Officer in the Environmental Vulnerability & Ecosystem Services section (EVES) and the Pan African Cooperation and Educational Technologies (PACET) programme, where he is contributing in research activities, capacity building and outreach activities in the frame of PAUWES but also within the UNU-EHS/University of Bonn joint MSc Programme. In addition, he supports in the application for new research grants, supervision of students and other related duties as required. Ambe Emmanuel Cheo, Emmanuel Amankwah, Prosper SomahTechoro (2014) Water Harvesting: A Potential Means for Water Security in the Far-North Region, Cameroon, Agricultural Research, Volume 3, Issue 4, pp 331-338.